Iran launched an oil and gas development tender for foreign companies, in a bid to ramp up investments into the industry after years of sanctions. Interested companies will now have to submit their bids until November 19. The National Iranian Oil Company (NIOC) will announce the winners on December 7. Many major oil companies, including Russian producers, are ready to join the struggle for the Iranian market. There are several moments making the tender a landmark for the Iranian economy, said Russian political analyst and specialist in the Middle East Vladimir Sazhin. First, this is the first tender Tehran has announced since the final agreement on the Iranian nuclear program and the removal of sanctions. Second, the tender involves a new system of contracts for foreign partners. Finally, for the first time in 65 years, foreign companies will have access to oil and gas assets as well as to distribution of oil and gas revenues in Iran, he told Radio Sputnik. Article 81 of the Iranian constitution bans concessions to foreigners to establish companies and organizations in trade, the production sector, the agricultural industry and the service sector. As a result, from 1979 until 1998, the Iranian government did not have contracts with international oil companies. At the same time, the country needed foreign capital and technology to develop the oil industry. During the presidency of Mohammad Khatami (1997-2005), the Iranian government introduced the buy-back scheme. It implied that international companies were allowed to explore oil and gas, but were obliged to hand over the oil or gas field to NIOC as soon as production began. This system bypassed the constitutional ban but was not attractive for foreign companies. President Hassan Rouhani and his government worked out a new contract scheme called the Iran Petroleum Contract (IPC). The IPC gives a foreign company the right to be the owner of the agreed part of produced oil and gas. Moreover, according to data from British Petroleum, Iran has proven oil reserves of nearly 158 billion barrels and 34 trillion cubic meters of gas. However, not all of them can be easily developed. For Iran, it is important that all reserves are developed. This is why the IPC presumes additional payments for foreign partners, depending on the difficulties during exploration of a certain oilfield. The new contract scheme was presented during an international conference in London in November 2015. The event involved 300 companies from 45 countries, including Royal Dutch Shell, BP, Total, Eni, Petronas and Sinopec. Among Russian companies there were LUKoil, Gazprom Neft, Gazprom International, Zarubezhneft and Tatneft. Total and Shell have already expressed willingness to work in Iran on the terms implied by the IPC system. Despite strong competition, Russian oil companies are making deals with Iran. 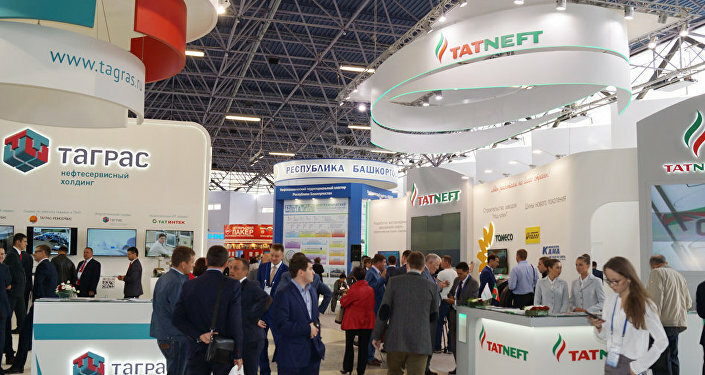 For example, Tatneft and NIOC signed a deal October 8 on the exploration of the Dehloran oilfield, in Ilam Province. Zarubezhneft and LUKoil also have exploration contracts in Iran. In May 2017, LUKoil is expected to sign a deal to explore the Ab-Teimur and Al-Mansouri fields.